Looking for a great job in Bradenton? Have little to no experience in sales? Come see us. We are a community leader in entry level positions and we love to promote within. We have jobs ranging from skills in maintenance all the way to management. Learn skills to take with you for the rest of your life in the Automotive industry. Firkins CDJR can change your life for the better. Become an active member of the local community when you join the Firkins’ team. We are heavily involved in local events and charities. Opportunity is knocking. Will you answer? Want to join a team that makes a difference? Firkins Automotive Group has been making a difference in Manatee and Sarasota Counties for over 65 years because we CARE. The Owners and Employees have a common desire to help our community where ever we can. With donations to local groups, schools, and organizations. Join our team and become apart of something bigger than selling cars. Firkins Automotive is seeking an Automotive Sales Consultant to join our team immediately. If you have a passion for people and the desire to succeed, a position as a Sales Representative may be for you. Firkins Automotive is a growing company that is built on the fundamental principles of integrity and treating people with respect. We have been around for 65 years and are located in Bradenton, Florida – a wonderful community just 10 minutes from award winning beaches! Apply today to join the Firkins Family! We are seeking a Bilingual Automotive Sales Representative to join our growing team immediately. If you have a passion for people and the desire to succeed, a position as a Firkins Automotive Sales Representative may be for you. Firkins Automotive is a growing company that is built on the fundamental principles of integrity and treating people with respect. We have been around for 65 years and are located in Bradenton – 10 minutes from the beach! 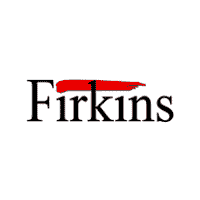 Firkins Automotive is immediately hiring a Full-Time Call Center Representative. We have been in business for over 65 years and are located in Bradenton, Florida – a wonderful community just 10 minutes from award winning beaches! Firkins Automotive is currently seeking a self-driven, experienced Automotive Service Advisor to join our growing family. We have been in business for over 65 years and are located in Bradenton, Florida – a wonderful community just 10 minutes from award winning beaches! Firkins Automotive is currently looking for Automotive Service Technicians to join our growing family. We have been in business for over 65 years and are located in Bradenton, Florida – a wonderful community just 10 minutes from award winning beaches! Firkins Automotive is currently looking for self-driven, experienced Automotive Collision Repair Technicians to join our growing family. We have been in business for over 65 years and are located in beautiful Bradenton, Florida – a wonderful community just 10 minutes from award winning beaches! Firkins is now hiring for New Car Sales People. This position does not require experience. What we do require is a willingness to learn the product, exceed your customer’s expectations and deliver the best buying experience your customer has ever had. Must possess a valid Florida Driver’s License. Background and Drug Testing is required. We are an EEOC employer and encourage all interested parties to apply. Firkins has a limited number of openings in our Pre-Owned Car Department. This position does not require experience. What we do require is a willingness to learn the products, exceed your customer’s expectations and deliver the best buying experience your customer has ever had. Must possess a valid Florida Driver’s License. Background and Drug Testing is required. We are an EEOC employer and encourage all interested parties to apply.